Pro League players won’t have to worry about spending one of their bans on Lion for a while – the Rainbow Six Siege attacker has just been banned for the first segment of Season 9. Lion has been a controversial operator since he was introduced with Operation Chimera. Since then, he’s been one of the most commonly-banned operators in the game, largely due to his signature device, EE-One-D, which allows him to scan a map and detect the locations of enemy players – information he automatically shares with his whole team. That ability has caused problems since day one, and because it’s so powerful, he’s almost uniformly banned by pro teams, costing them one of their bans each time. Now, in response to months of player complaints about his overpowered ability, Lion’s going to have to stay on the bench for Pro League Season 9. Ubisoft knew about Lion’s design problems before he launched, and the development team has worked to try to rein him in. But he’s remained overpowered, and as Forbes reports, as recently as the Paris Majors in August Lion was banned in 63.9% of matches, far and away the highest ban-rate for an attacker. Breaking news: Lion will be automatically banned in the first part of Pro League Season 9! 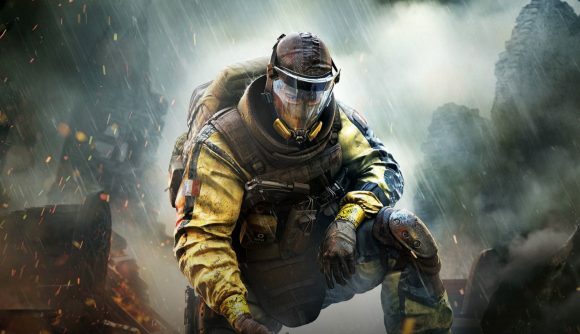 Lion getting auto-banned from Pro League hopefully means that a meaningful rework of the operator is on the way.